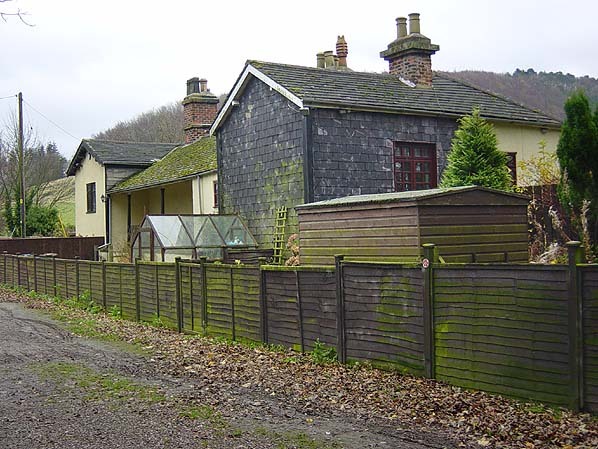 The station building survives as two cottages adjacent to the Guisborough Walkway centre. Notes: The station was resited to the west side of the road in December 1876 when the original level crossing was replaced by an over bridge. The Station name was Pinchingthorpe, this wasn't corrected until the 2nd station was renamed in 1920. The prospectus for the Middlesbrough & Guisbrough Railway (sic) was published in November 1851. This proposed that the Stockton and Darlington Railway should provide locomotives and rolling stock and should control traffic. The initial plan was to terminate the railway outside the town of Guisbrough and it was clearly intended to be a line carrying minerals extracted from the south side of the valley to the blast furnaces in Middlesbrough. The locals were not happy about a railway bearing the town’s name stopping short of the town so a petition was organised resulting in the proposed railway being deviated and extended to terminate in the town. The line is still in use from Middlesbrough to Morton Junction by Whitby bound trains. 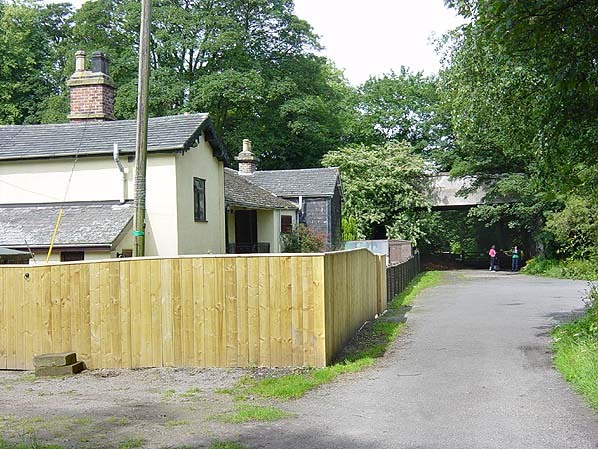 The course of the railway between Morton Junction and the woodland east of Pinchinthorpe station is now a public walkway and can be easily accessed at the Guisborough Walkway Centre adjacent to the old Pinchinthorpe station. The trackbed between Hutton Gate station and Guisborough is also a public footpath and this has recently been extended along the old Cleveland Railway towards Slapewath. To see other stations on the Middlesborough & Guisborough Railway click on the station name: Pinchinthorpe (2nd Station), Hutton Gate, Hutton, Hutton Junction & Guisborough. The first Pinchinthorpe Station in July 2007 taken from a similar viewpoint to the 1960's picture above.